The core concept of this project is to develop a ‘Mobile Music Studio’, with the end goal of producing and digitally publishing an EP for each artist/group. Mishwar thereby hopes to create a space to raise the voices of refugees and help to unleash their creative potential. In three different locations, through innovative means, Mishwar intends to foster the creative process for the participants through the inclusion of poetry, writing, freestyle, beats production and collaboration. There will be one session per week led by a specialist trainer, with the project culminating in an album launch performance. 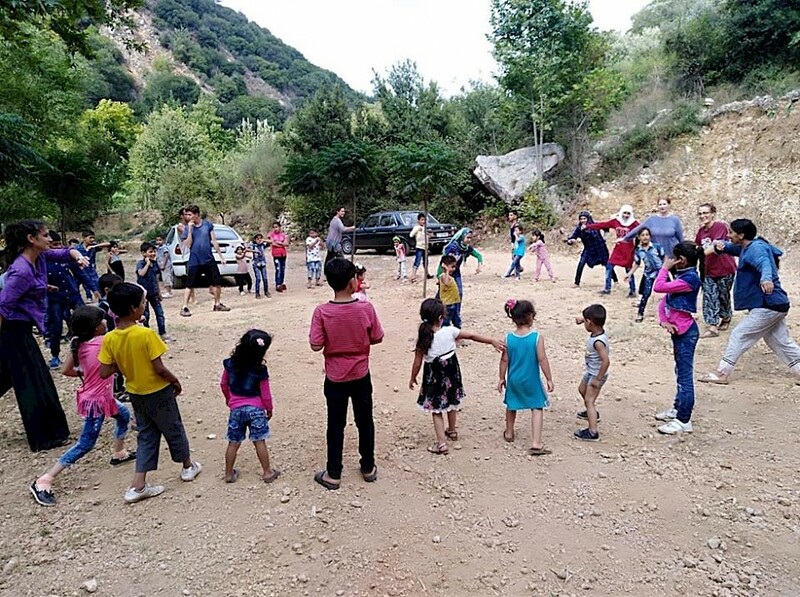 Mishwar is a local community-based NGO launched in response to the worsening refugee crisis in North Lebanon. The NGO works specifically in areas of deteriorating infrastructure, limited resources, and social and political tensions, and where there is a heavy army presence in the remote rural areas and urban ghettos. Focusing on youth empowerment and building local capacities in marginalised areas, Mishwar aims to raise the voices and creative potential of youth. The organisation’s goals include developing creative projects that help engender real and economic improvements for all, and to foster links between Lebanese, Syrians and Palestinians, in order to strengthen capacities, self-reliance, and social cohesion as a form of problem-solving. Mishwar is made up of local (Palestinian, Syrian and Lebanese) volunteers from the camps, who lead each project and host communities. As a hub, Mishwar has created a network of local artists and taken their voices and audio productions to different online platforms to help fight the discrimination against and stereotyping of refugees.